It turns out your parents were right – owning a pet is a lot of work, and animal lovers are willing to make sacrifices to keep their four-legged friends happy and healthy. When it comes to selecting the perfect home for you and your family pet, finding a pet-friendly place can be a challenge. 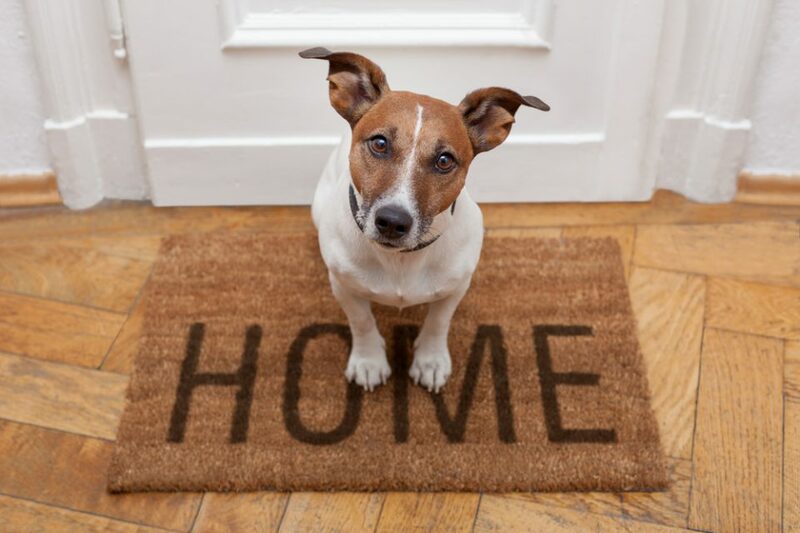 But welcoming your furry companions into your new home doesn’t have to be. Paisley by Brookfield Residential is pet-friendly and wallet-friendly, meaning you don’t need to sacrifice your entire life’s savings just for Fido. The vibrant community not only allows pets, but offers a variety of features that will make your companion feel right at home. Inspired by Paisley, we’ve outlined eight features and design ideas that are perfect for new homeowners – and, most importantly, their pets. Whether you’re hosing off fresh spring mud or melting snowballs packed onto fur in the winter time, a doggy shower is a feature that most pet owners will consider a necessity. Rather than trying to carry a wet dog to the nearest bathroom, include a built-in pet washing station by your rear entrance. If your work takes you out of the home for much of the day, a smart pet camera is a great upgrade to your home tech. The Petcube system even lets you check in to see what your pal does when you’re not around, and depending on the model you select, you’re able to send your pet a treat or play with them using a laser pointer. The devices connect to your smartphone, which makes leaving your buddy at home a little bit easier. Someone has to pay the mortgage around here. Avoid tripping over water dishes with a simple built-in pet feeding station. Nestled into your kitchen counters, a built-in feeding station prevents accidents and messes, and keeps your kitchen looking tidy. Even your pet will appreciate having their own special space (and treat drawer). Edmonton has no shortage of naturally beautiful pet-friendly city parks, and the residents of Paisley have Terwillegar Dog Park right nearby. The City of Edmonton has just approved the construction of a new fenced-in dog park in Paisley, too, complete with a separate area for smaller dogs and double gated entrances and exits for safety. Pet parents are no strangers to the challenge of keeping your home and furniture free from clouds of pet hair. As iRobot’s Roomba vacuums continue to improve, the quest for clean floors is becoming a little bit easier. Leave the Roomba running while you’re running chores or enjoying a morning coffee on your patio and return to a hair-free floor (just be sure to select a model that is known to handle pet hair). For days when the weather won’t allow for a long visit to the park, a pet enclosure can be a lifesaver. Paisley can install a pet enclosure for when you take possession of your home, ensuring your pal has a safe space to spend time outside. Looking to upgrade to something a little more cat-friendly? Contact Hellas Pet Enclosures, a local designer of “catios” that can help make kitty’s outdoor dreams come true. Every home should come equipped with features that help you stay in bed a little longer on Sunday morning. When you purchase a dog-friendly home at Paisley, you have the option of adding an energy efficient pet door – meaning your pet can manage their own morning business while you stay in bed. The doors feature airtight technology that ensures your home doesn’t hemorrhage heat during the cold winter months. If you’re trying to make your feline friend feel welcome, there are plenty of easy cat-friendly modifications you can install in your home. IKEA now sells furniture specially designed for your pet, but if you’re on a budget, a simple set of wall shelves and some DIY creativity can make a creative climbing space for your cat. Searching for the perfect home that grows with you doesn’t have to be a struggle. Whether you’re content with your fur-family or thinking of expanding to include children, this new, unique neighbourhood is on the up and up. Visit the showhomes at Paisley at Heritage Park to get inspired by the pet-friendly features available in their new homes.